Recently I traveled up to San Francisco to work with a group called Because Justice Matters. It was quite a weekend. As our parting tribute to San Francisco, my friends and I headed over to Philz Coffee for the best coffee in the city. 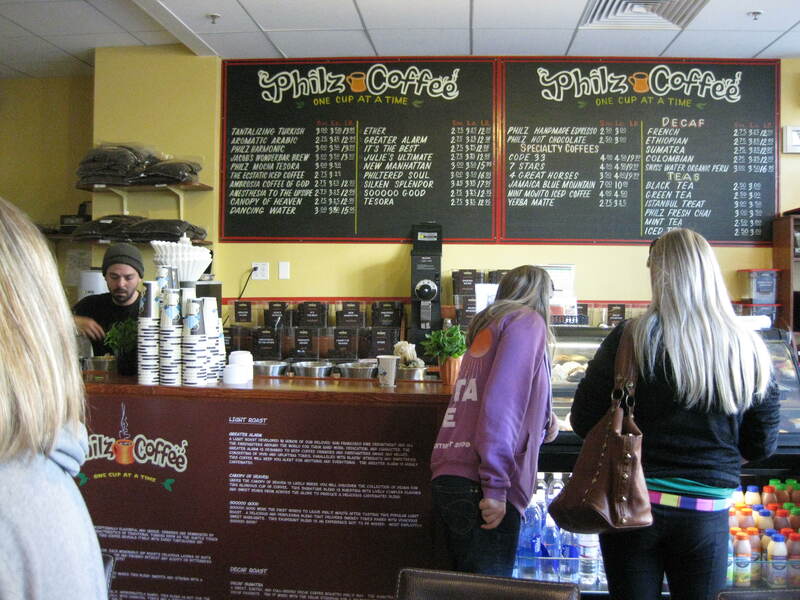 Philz Coffee makes coffee one cup at a time. It is awesome! Each cup of coffee is custom blended, ground and created as an individual coffee experience. The bartender asks you if you want cream or sugar, or anything resembling a latte, cappuccino or other normal coffee creation, but the result is beyond “normal.” Each individual cup is filtered and created right in front of you, and if you don’t like the results, the bartender will continue creating until you do. Seemed to have worked, because I didn’t need a second cup to send me on my way home to Atascadero. To find a Philz Coffee the next time you take a Sabbatical or sabbath in the San Francisco area, check out their locations and maps. You will thank me for the recommendation. Hi, Tom I’m a staff pastor in Taft at New Life Community. I moved to Cambria to the Fiscalini Ranch to take care of my relatives. I’m looking for a church to attend and noticed your’s in the papper and did some reading up on your church, would love to come and join you this weekend.